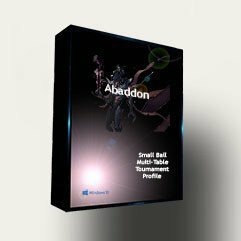 Abaddon is a highly advanced tournament/sng poker bot designed to crush large field, mid to high stakes tournaments. This bot has been developed based off the Tournament Master class from Raiseyouredge.com. It uses Game Theory Optimization (GTO) strategy to exploit standard opponents as well as adjusting it’s ranges based off player’s PokerTracker 4 stats. Abaddon knows when it’s profitable to open raise, 3bet, jam, rejam, etc., preflop along with proper continuation betting and values betting postflop. Get your hands on this baby before the price goes up! 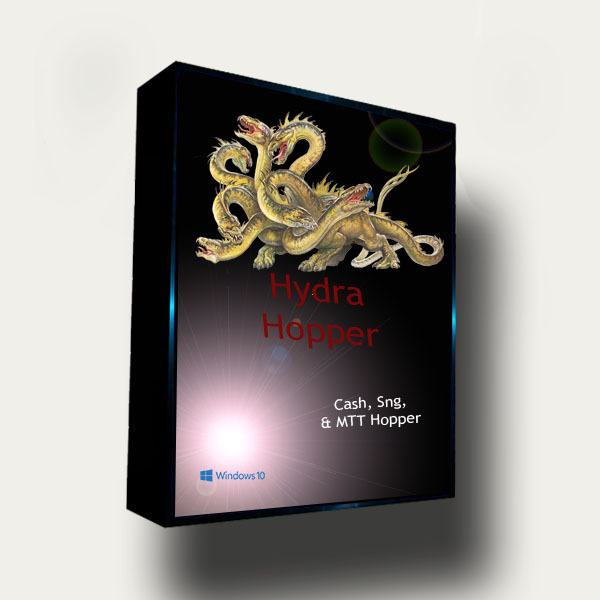 Purchase includes: Abaddon Poker Bot for up to 3 computers + all our supported Table Maps. best tournament bot ever used, and really well coded. customer service is very good also and professionnal special thanks to chris and robert. Had some realy good scores with abaddon. Of course it wont play perfect but it is very solid. Keep up the great work! Proud owner of 4 bots, Abbadon included. Joined my very first tournament with this one, Really the first one, It crushed thousands of people. Ending up in first place cashing over 400$Can't go wrong with this one. This profile has really impressive winning hands rate (%), and that is imo most important factor why it's winning much from tournaments. Abaddon is and always will be TOP 1 in my MTT profiles arsenal. Abaddon plays a small ball strategy based off of Daniel Negreanu. First, it tries to keep pots small when playing implied odds hands such as pocket pairs and suited connectors. Then, this poker bot pounces on opponents with big hands preflop and postflop. By specializing in pot control, and exploiting opponents by reading their stats from PokerTracker 4, the bot adapts to each opponent, whether in cash game or tournaments. This professional online poker bot has received the most reviews from customers, as well as the highest!